David Roche is a sought after coach as well as a world class athlete and a writer. David is a wealth of knowledge about training and racing and puts an emphasis on enjoying the process rather than focusing on results. He believes races should be celebrations, not tests. On this episode we dig into David’s past as a football and baseball star, how he met his wife Megan, a Stanford MD and also a world class athlete, and the mental side of training and racing including how to deal with race nerves and post race depression, why short, fast sprints will make you faster and so much more. David and Megan have a new book out called “The Happy Runner: Love the Process,Get Faster and Run Longer” and David writes a regular column in Trail Runner Magazine. 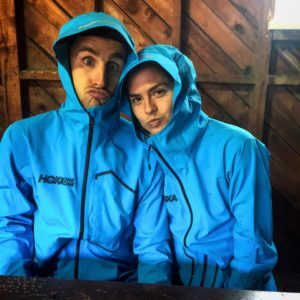 Humans of Ultra Running is my all-time favorite podcast!! Everything about it is addicting and inspires me to run!! I especially loved the first two episodes so far. I can’t wait to listened to them again. Inspirational women rock!!! Thank you, Candice!! You are amazing!! !